Welcome to episode 75 of the Energetic Radio podcast. On today’s show, I catch up with Hayden Wilson. I have been a big fan of everything Hayden has been up to for the past couple of years, and am excited to share his story with you today. Hayden and I went to high school together in Shepparton which is in Country Victoria. Hayden is a few years younger than me, and I always remember him as the quiet kid. This is not the case anymore. Hayden has changed since leaving Wanganui Secondary College where we last crossed paths and has grown and developed into an outstanding mentor, author, podcaster and presenter. 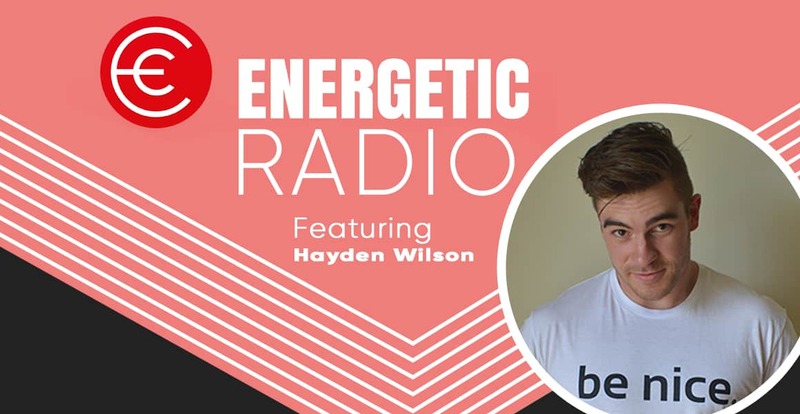 I am so excited to share Hayden with you today as we talk about a number of different topics and areas that people can do to improve every aspect of their lives.